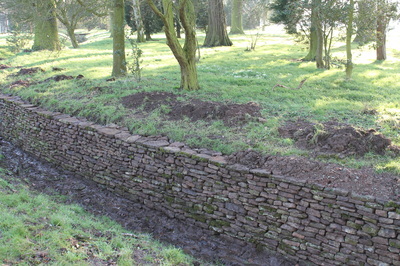 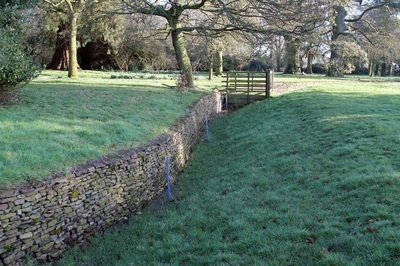 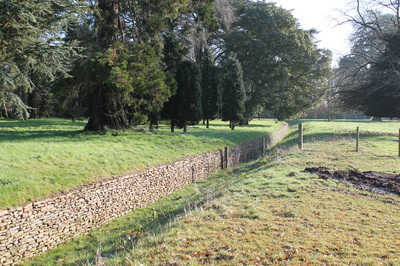 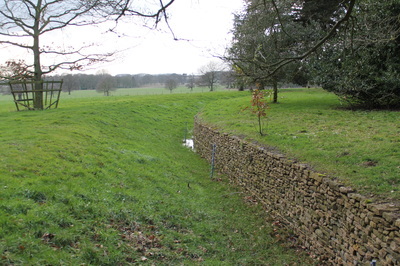 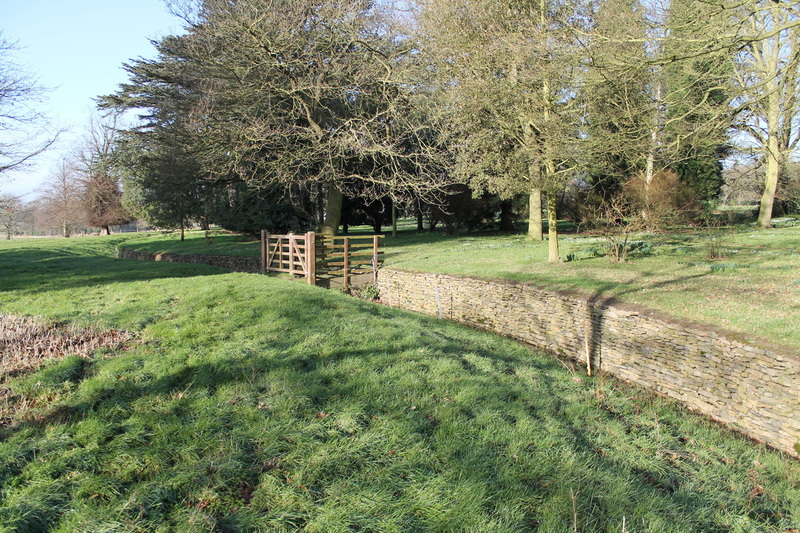 This project involved the restoration of a Ha-Ha (a type of retaining wall set in a ditch to act as an unobtrusive barrier to livestock while not interrupting views of surrounding parkland) The Ha-Ha is a feature associated with stately halls and in this case was thought to have been around the age of the hall, the unique flat bedded blue hewed stone perhaps being dug out of the site of the nearby lake. 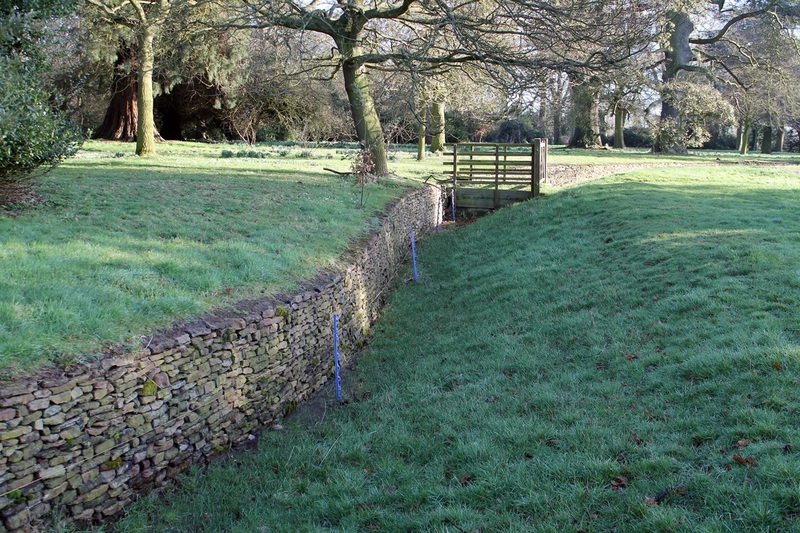 Working to the requirements of the property owner, land agent and conservator, we restored collapsed or weakened sections of the wall. The wall itself was a wonderful feature that snaked across the landscape. 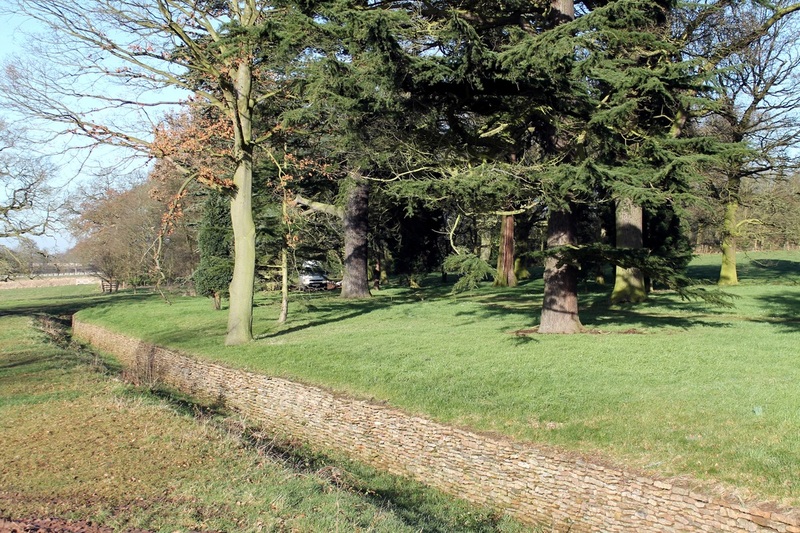 Working in the sections around the arboretum with its majestic trees was a particular highlight. 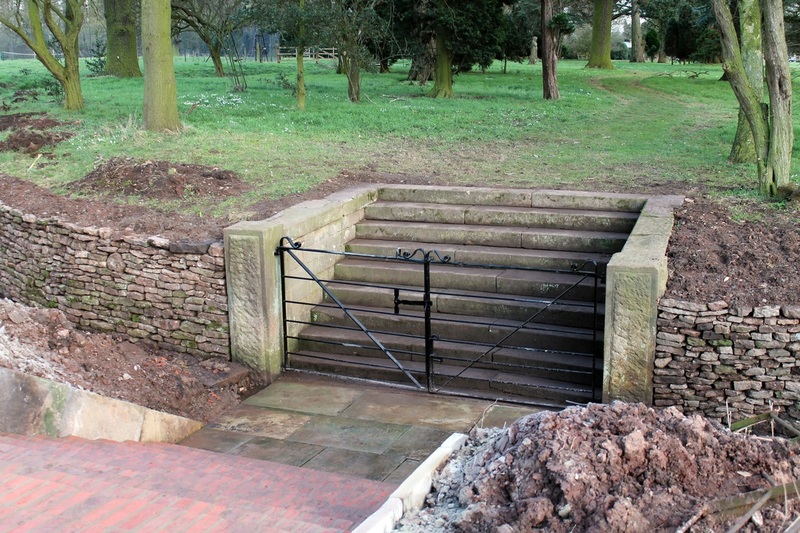 The projects also involved the repair and realignment of stone staircases across the Ha-Ha in which we were assisted by a local bricklayer.